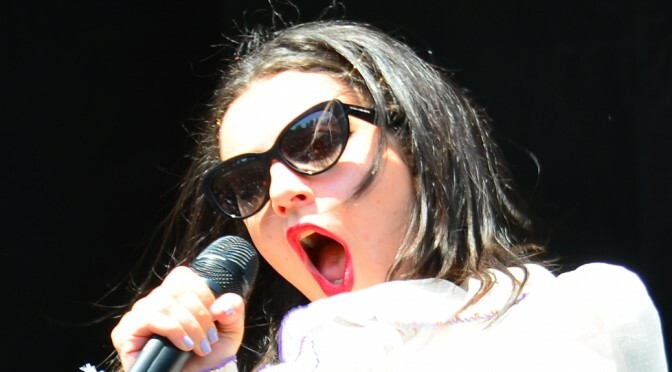 Charli XCX is a rock star. Or at least she should be. 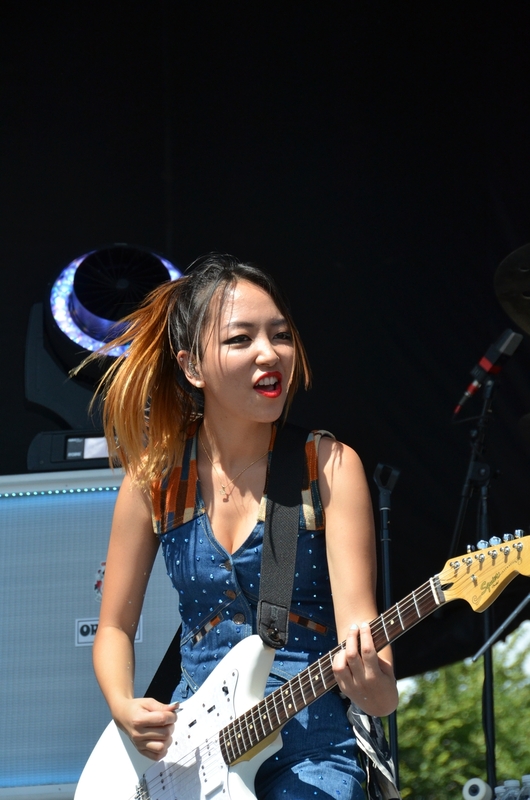 She’s got a badass all-girl band who stole their look from the Runaways and play crunchy power pop to match. Charli looks and acts like a snotty club kid. Her records have the glossy sheen to sneak into mainstream pop radio, but live in concert, her sound is way more tough. Either way, I love it. Her music is rebellious and dangerous in the classic way that makes parents shudder but is ultimately harmless. “Oh dad, it’s just a song.” Whatever kid, just stick to the Kidz Bop version. She played Schubas in 2013 (capacity: ~165), which would have been great to see. But even in the bright daylight of a packed Lollapalooza field she controlled the crowd, demanding more people up on shoulders. The crowd complied. It was awesome. GLONO photographer Jolie Brown got a bunch of great pictures of the set. Here are some of the best. 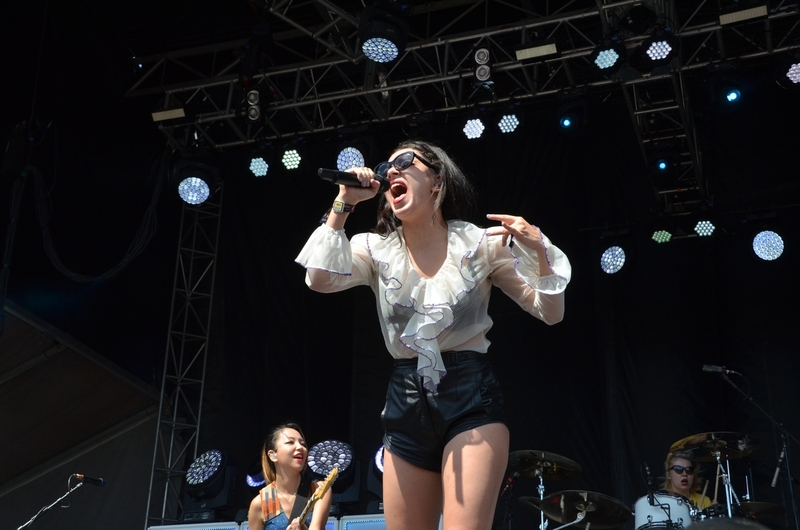 See even more Charli XCX photos on Flickr. And be sure to catch our Lolla 215 wrap up. 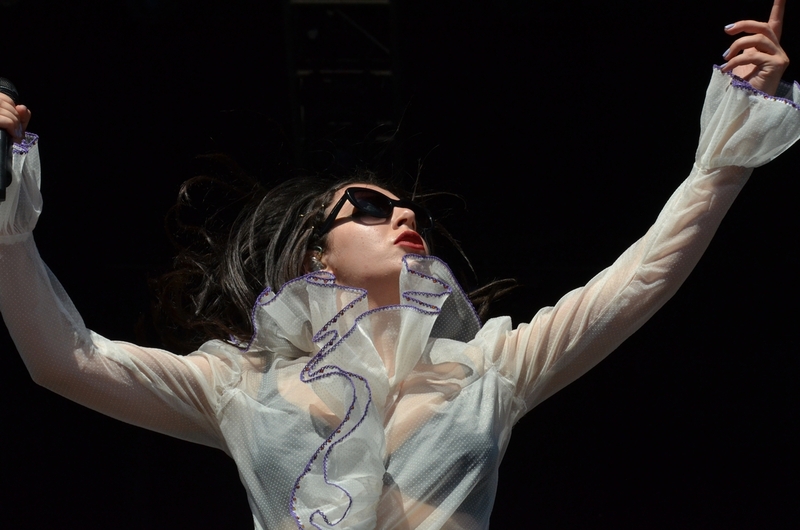 Is this the same Charli XCX who says she’s recently been inspired by Paris Hilton? Probably. Kids these days, I tell ya!